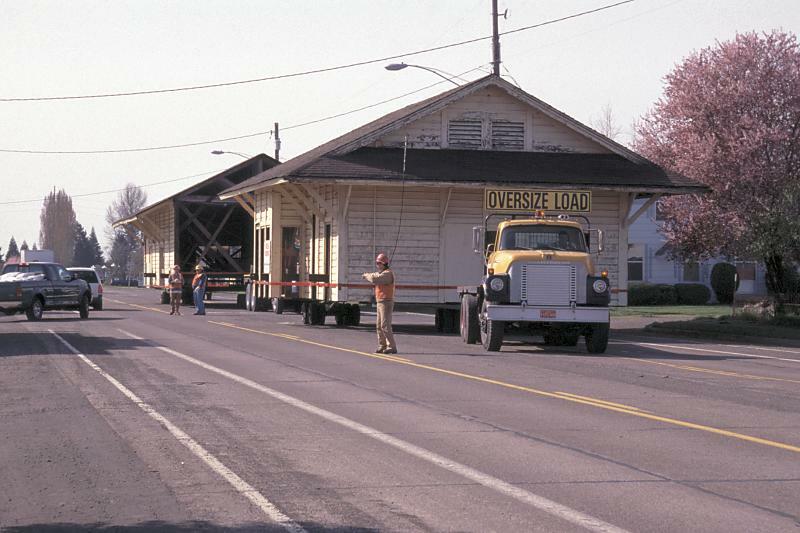 March 29th, 2000, was a rather momentous day for the small town of Halsey, Oregon, located in the heart of the fertile Willamette Valley. 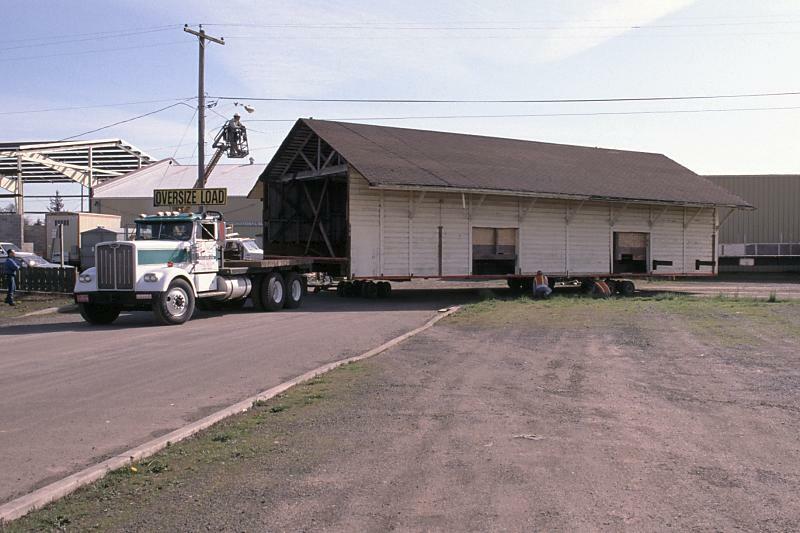 The ex-Southern Pacific depot and freight were scheduled to make their second and final move. 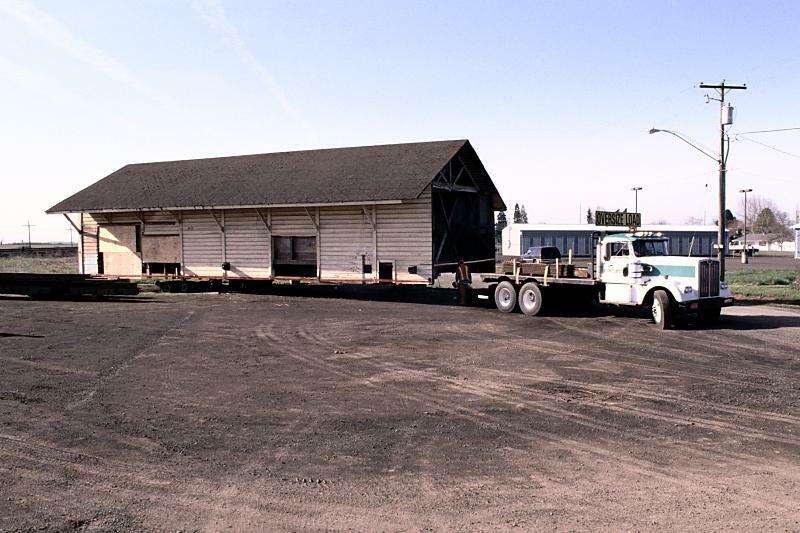 While the construction date of the depot is still somewhat of a mystery, it is believed to date from the 1880's or 1890's, and could possibly be the oldest depot in the state (Canby is currently the oldest known depot). 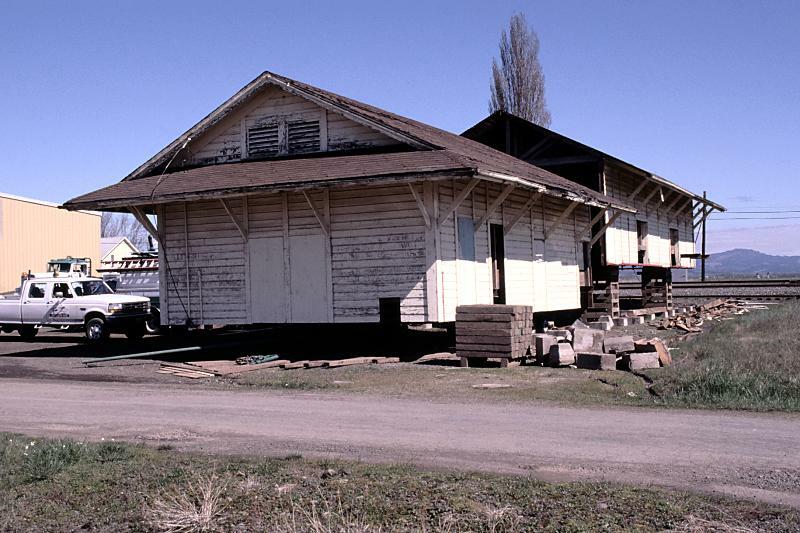 With the exception of the depot, most of the commercial district was destroyed by fire in 1903. 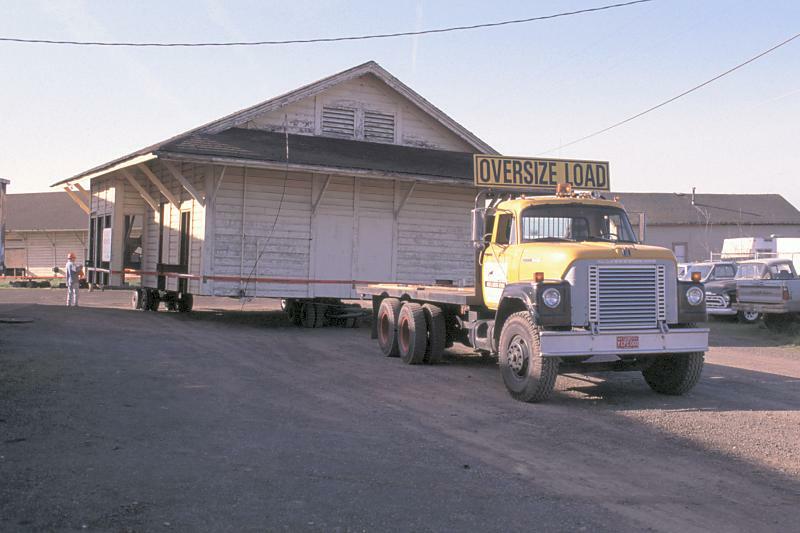 It was originally located 3 blocks south of its current location, and moved to West First St. in the 1960's, where it became a seed storage warehouse. It was subsequently donated to the City of Halsey by Smith Seed Co. 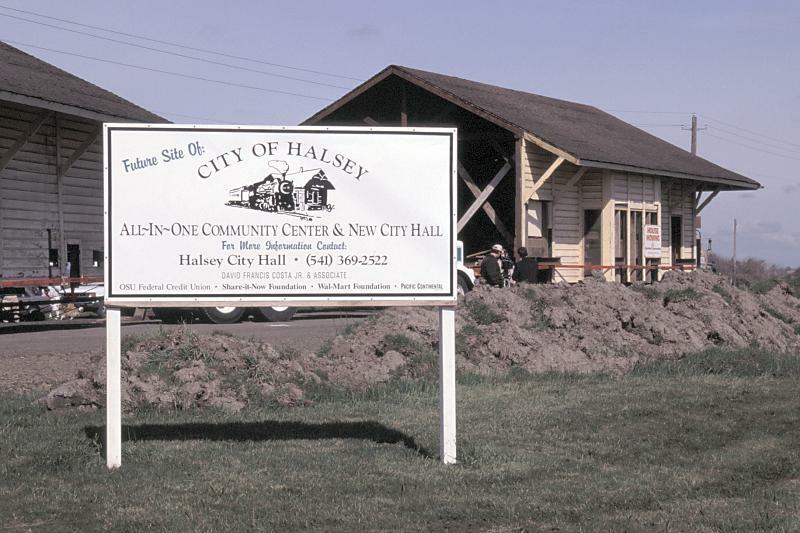 The City of Halsey was interested in a multi-purpose building that would serve several functions: City Hall, Youth Center, and Sheriff Sub-station. 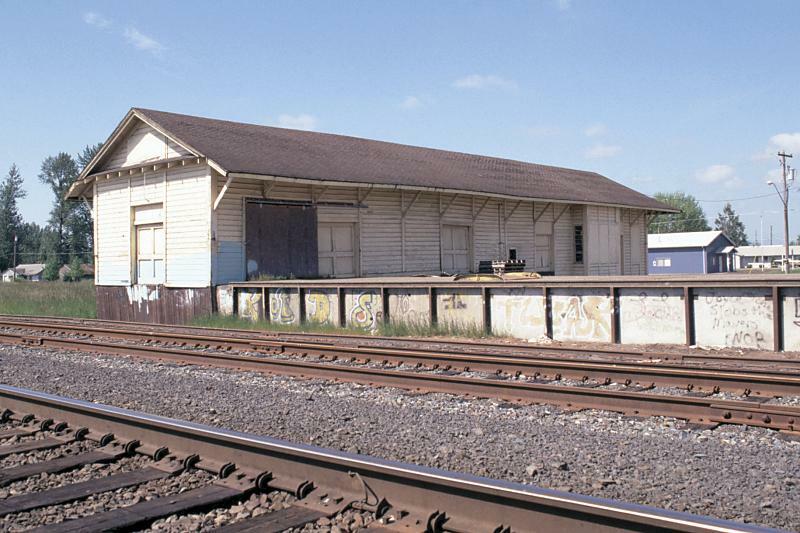 When the depot became available, city officials hoped that it might fulfill their goal. 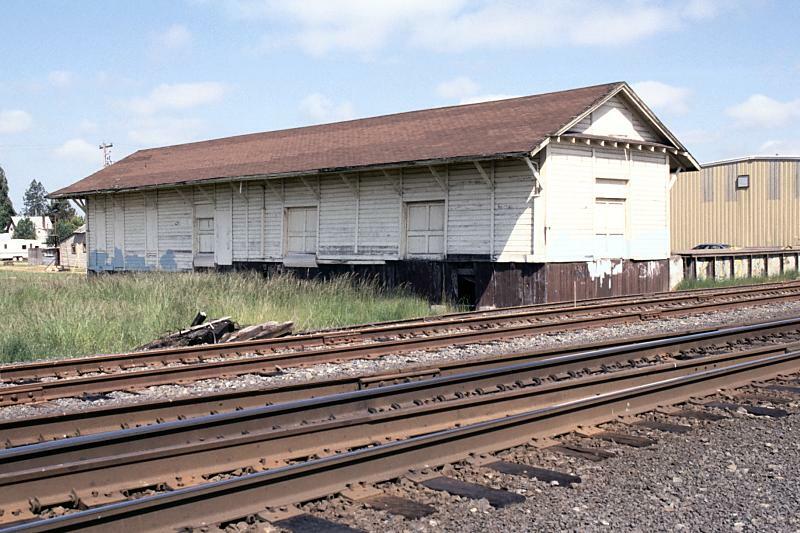 While not being restored to total historical accuracy, the existing depot/freight house will eventually be the top floor of a 2-story building. A display of railroad equipment is also planned. 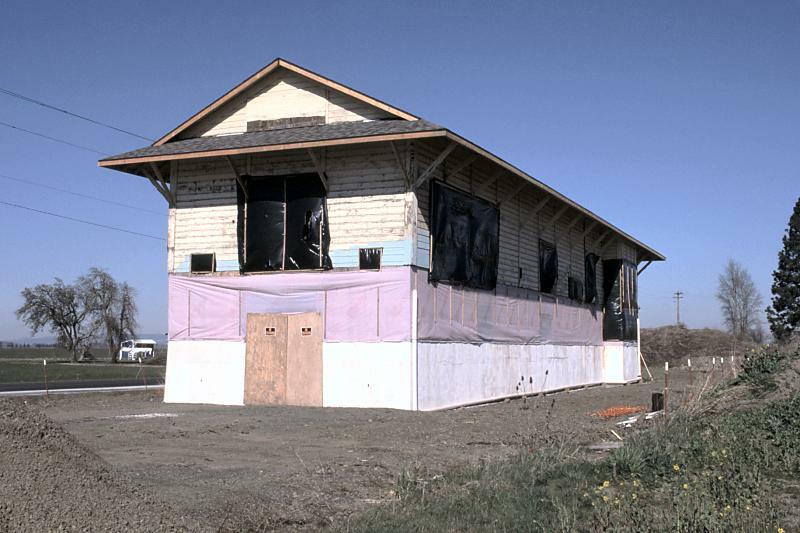 The total cost of completion is estimated at one million dollars. 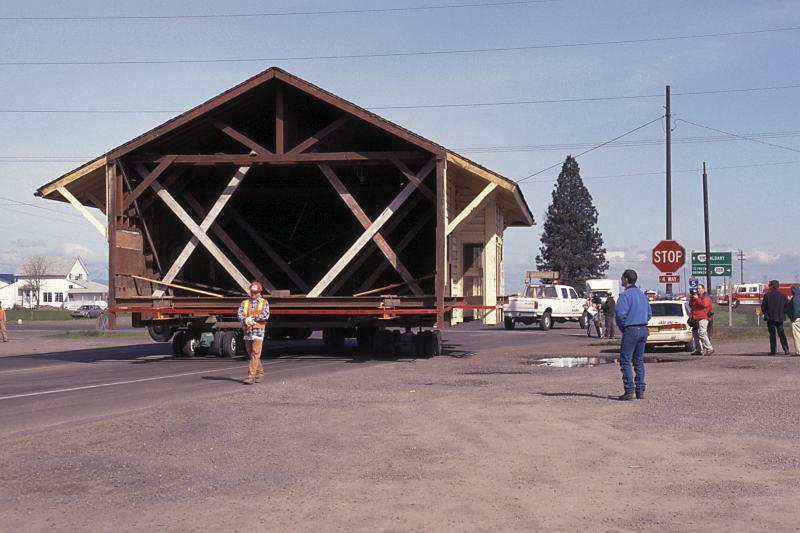 The cost of the half-mile move to its current location by Rainbow Construction was $16,000. 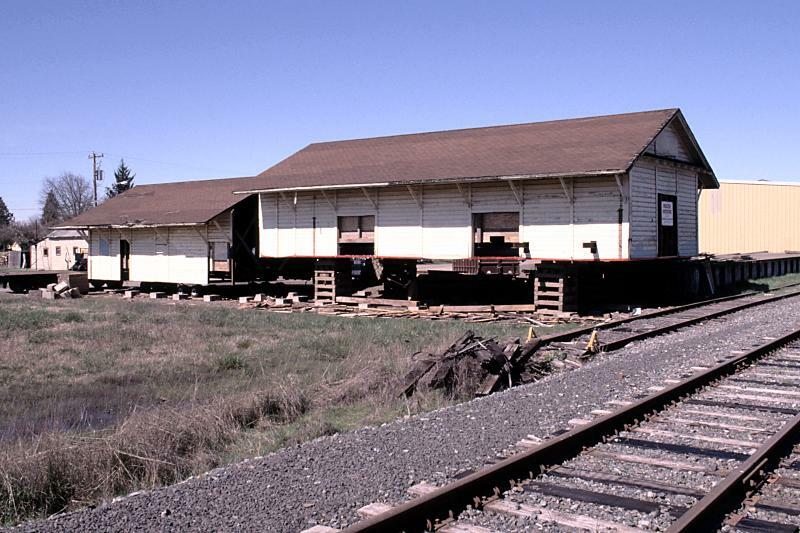 These 2 images show the depot and freight house as it looked on May 29th, 1999, at the south end of town. Union Pacific's Valley Main Line is in the immediate foreground. 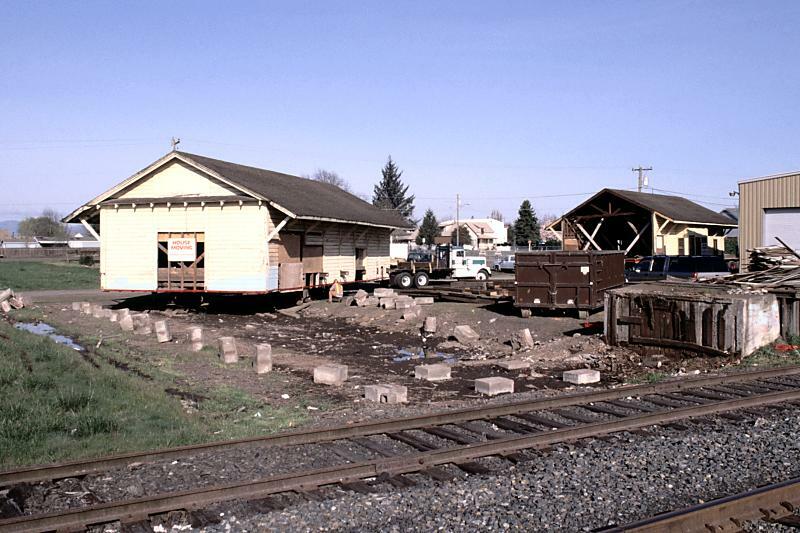 03.21.00: The depot and freight house have been separated and are sitting on cribbing in preparation for movement. 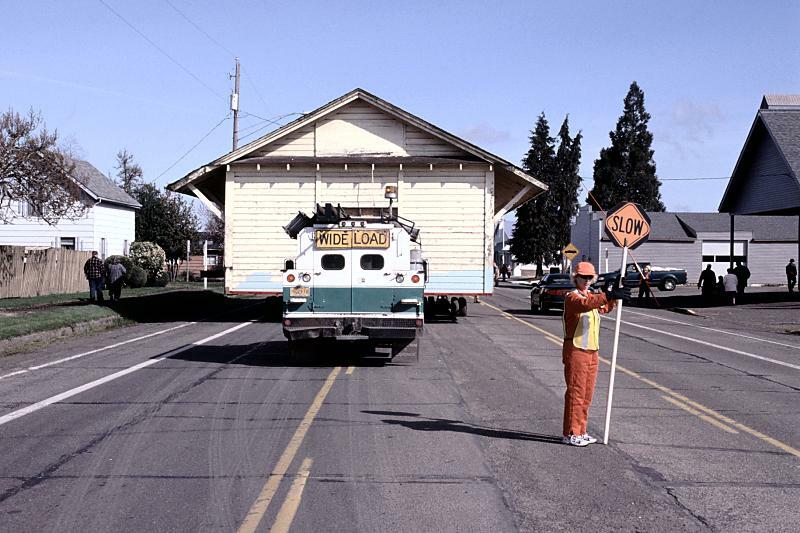 03.29.00: Moving Day! 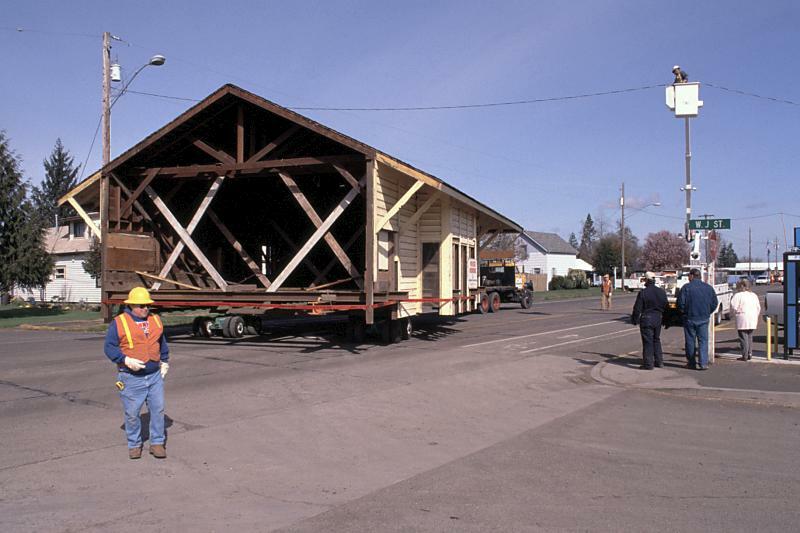 Rainbow Construction, from Salem, contractor for the operation, has everything in place to begin the trip to the north end of town. 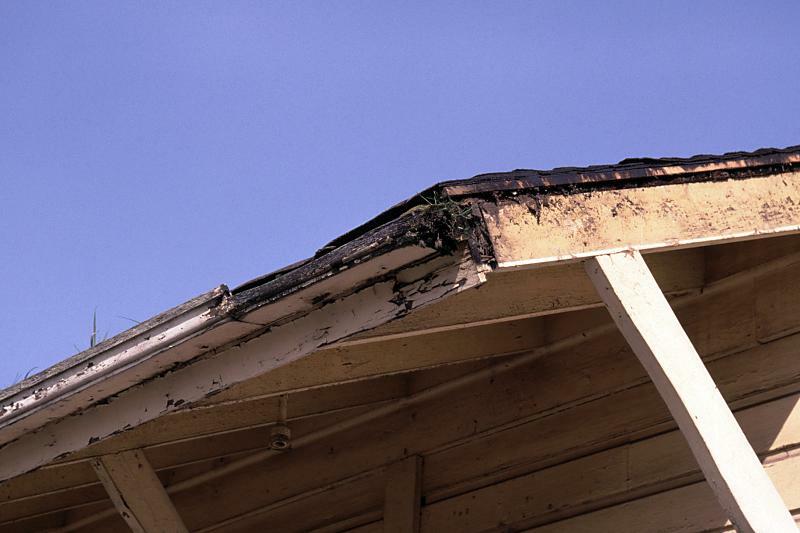 A portion of the original milled redwood gutters. 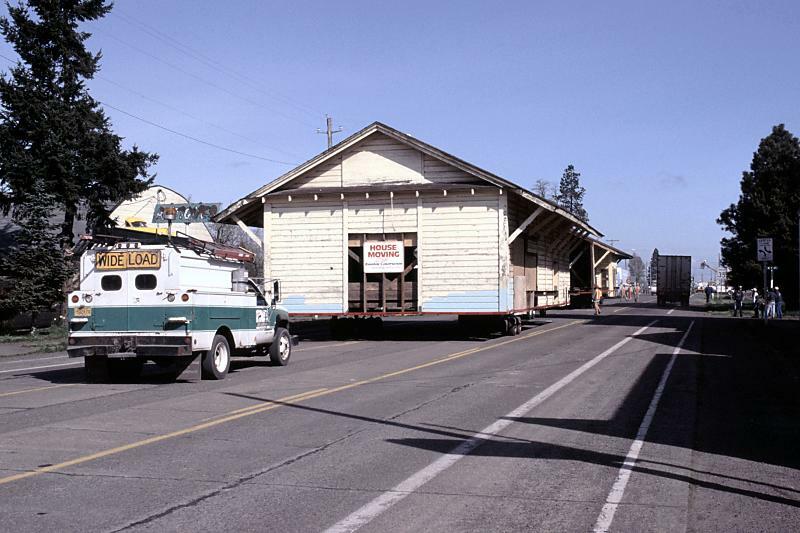 Traveling north on highway 99E. 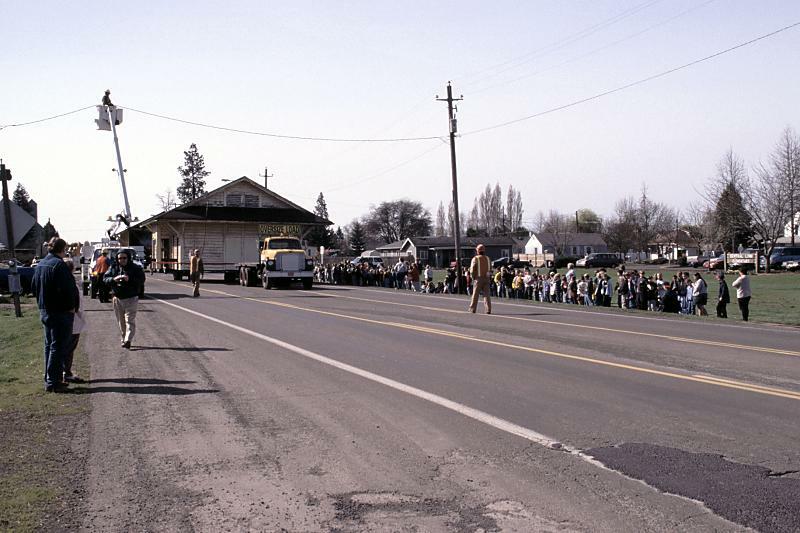 Students at Central Linn Elementary School were permitted to leave classes and watch living history on the move. 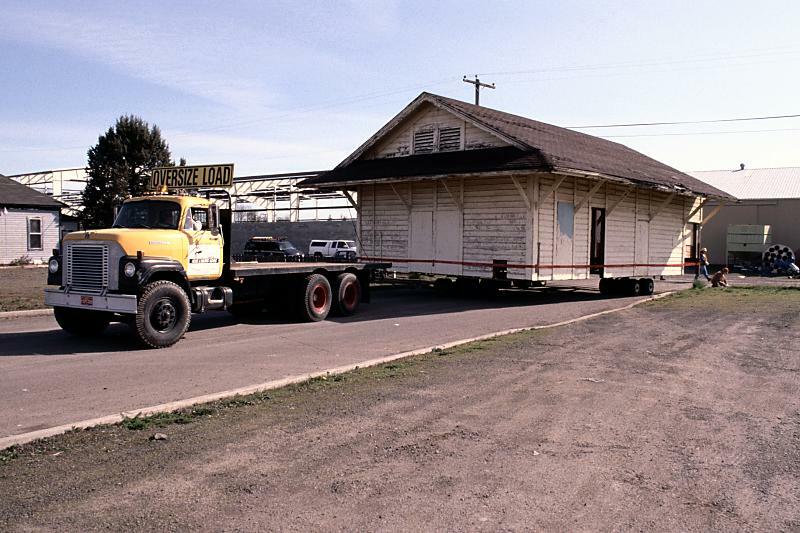 The depot is making the turn off of highway 99E and will cross American Drive to its final destination. Home at last! 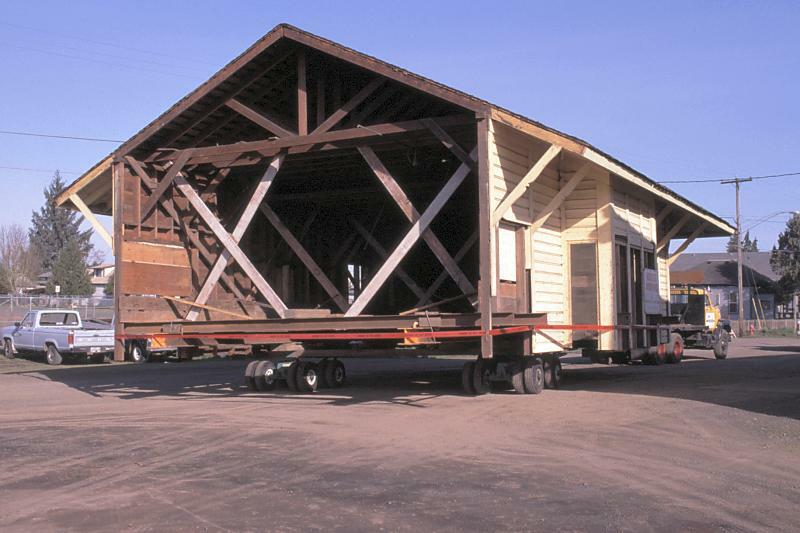 The two structures have since been joined and more cribbing has been added to raise the buildings high enough for construction of the first floor. 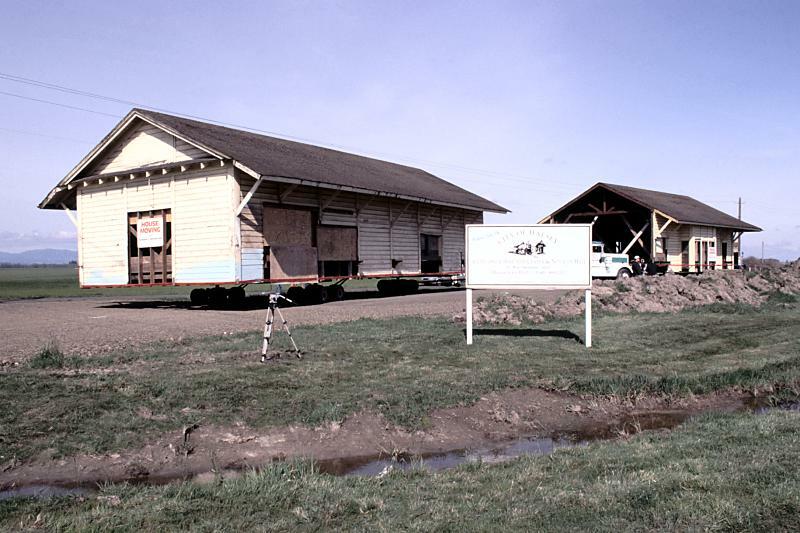 03.29.02: The first floor framing has been completed and the depot/freight house have been joined. 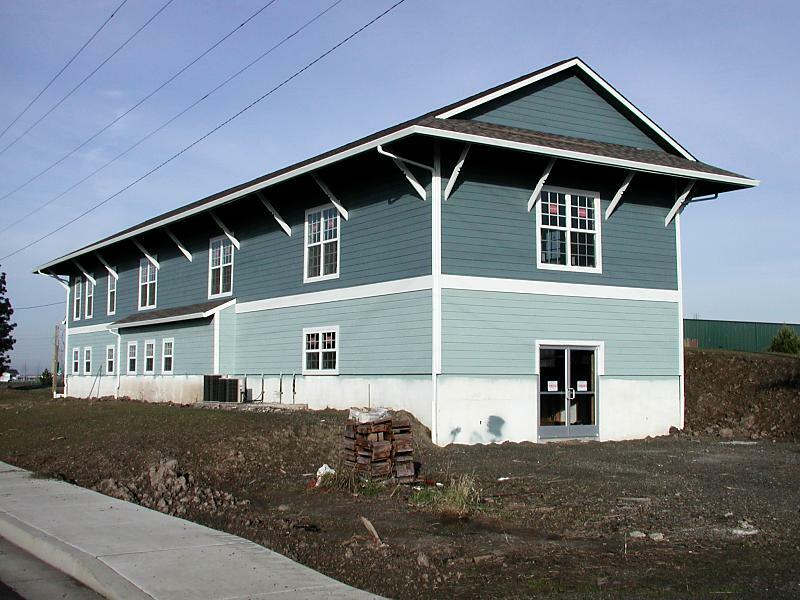 01.18.03: The building has received new doors, windows, and paint.